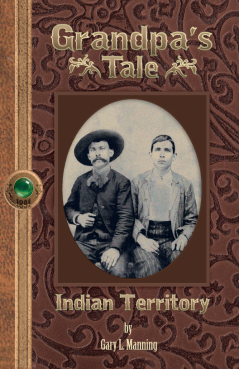 Grandpa's Tale, set in a waning year of the United States Indian Territory, is a charming and smooth moving story of young George Manning's rite of passage to manhood and his outlaw friend Charlie Wilson's quest for redemption. Enter U.S. Marshal Ned Todd and the three men form a shaky alliance that exacts powerful western justice near the Jack Fork Mountains.